This is a one-time deal. It won't happen again; it has never happened before. And there is only 57 cases available. In my opinion, aged Italian wines are some of the most interesting and elegant wines to experience. And I don't choose the word "experience" lightly. One taste and you place yourself sitting in your favorite Italian trattoria in your favorite Italian village...if you don't have a favorite...the character of this wine will take you there anyway. I literally forgot I had purchased this wine a year ago...it has been sitting in my temperature controlled warehouse...aging gracefully. It can only do anyone any good if I can get it into your glass. I only have 57 cases and that will be it forever. 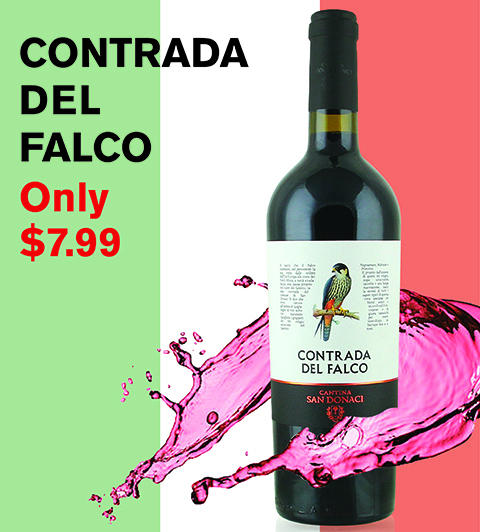 But seriously, if you are not fond of Italian wines...this might not be the wine for you...but if you do like Italian wines...the value will blow you away. I have seen it has high as $18.99 and as low as $12.99…get it now for $7.99!!! !